In the wake of Congo’s fraudulent 2011 elections, international actors urged President Kabila to work to rehabilitate his tarnished legitimacy by dedicating his government to security sector and justice reform, legitimate natural resource management, economic development, and good governance. Highlighting the desperate need for justice and security sector reform was the defection of controversial warlord-turned-Congolese-general Bosco Ntaganda from the formal military structure, in which he took hundreds of loyal officers and soldiers with him. 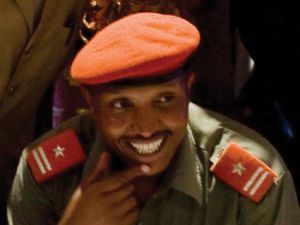 It was unclear as to whether Ntaganda intended to re-start a rebellion or if he left the official structures to avoid potential arrest. Regardless, his defection prompted heightened tensions in the already volatile east, with President Kabila, top military brass, and specially-trained units descending on Goma and Bukavu to address the situation. While it is still uncertain how the situation will play out, the Enough Project urges the Congolese government to follow through on its obligation to arrest Bosco Ntaganda and turn him over to the International Criminal Court. Also, read Enough’s new fact sheet, Who is Bosco Ntaganda: Lynchpin to Security or International War Criminal?, for background on Ntaganda’s crimes throughout the eastern Congo.